As Ubar Grotto has a Ceremonial coming up in October, the time is now to get those petitions in. This will be the last Ceremonial until the Spring, so it’s the perfect for new Prophets to come and enjoy the sympathy and good fellowship of Ubar Grotto. But, never let it be said that Ubar doesn’t provide rewards to its members for a job well done! Recently, Pro. 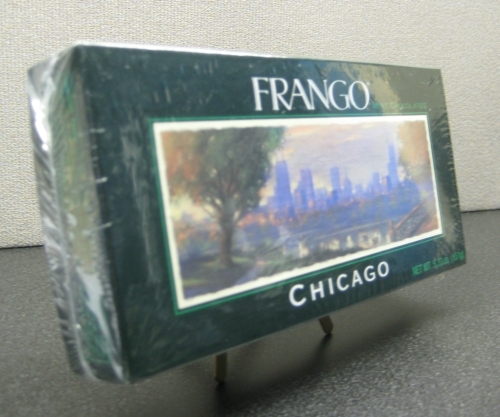 Chris Rodkey, Chaplain, donated a box of the world famous Frango Chocolate Mints to be used as a contest prize for Ubar. These candies, made popular in the mid-west, and now distributed by Macy’s Department Stores, are reputed to be some of the most delectable chocolates known to man. Chris “muled” the delicacy back from a recent trip to Chicago, so these are authentic treats! How do you earn this delightful box of deliciousness? Simple – first line sign more petitions than anyone else for our October Ceremonial! Only those candidates that attend and go through the Ceremonial count, so make sure you sign their petition and get them to the meeting! Autumn day is right around the corner, so get your pens ready to take advantage of this promotion! ← Fall in with Ubar!